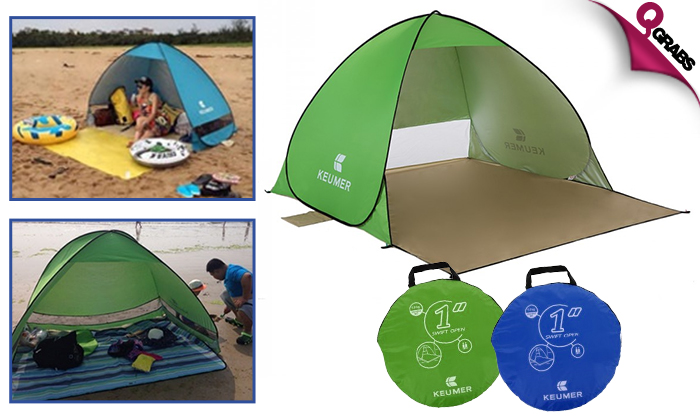 Portable & Foldable Pop-up Beach/Camping Tents! Items not collected/received by 5 Sep. 2018 will be forfeited and no refund will be given. Can be set up & folded back within a couple of minutes. The top of the tent is coated with a special silver fabric to ensure protection from harmful UV rays. Ideal for using on the beach, while camping, for picnics or even in the home backyard. Comes in a convenient carry case which can easily fit in a small spaces. Keep calm and Camp out with upto 44% off!